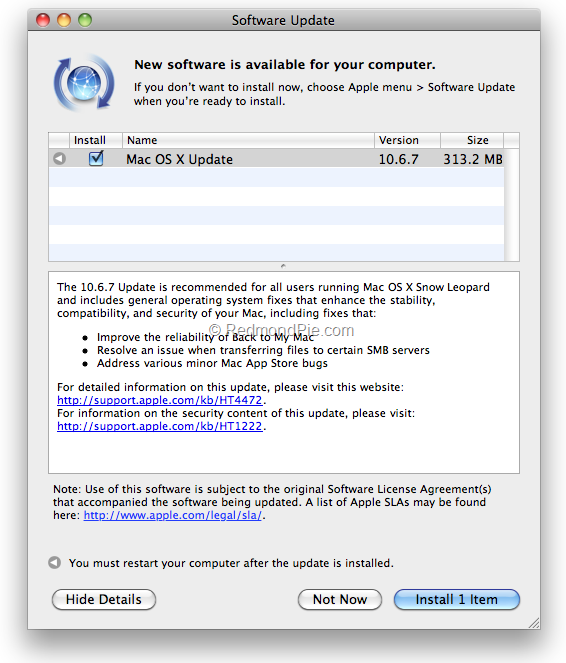 Apple just released their final version of the Mac OS X 10.6.7 Snow Leopard. The Snow leopard versions have been coming out since more than a year, and this latest update brings a few advancements and many bug fixes. The Mac OS X v10.6.7 Update is recommended for all users running Mac OS X Snow Leopard and includes general operating system fixes that enhance the stability, compatibility, and security of your Mac. Improving the reliability of Back to My Mac.